Drive with a detector and charge your devices at the same time! 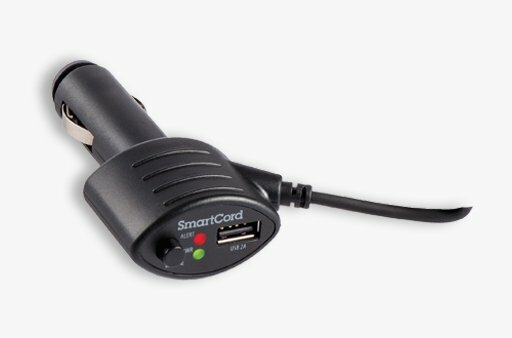 This deluxe SmartCord USB 2 amp charger works with most Apple and Android smartphones, tablets and other USB-charged devices. The combination of straight and coiled cord sections provides a cleaner look and extra length. The handy design puts Mute Button, Alert Lamp and Power Indicator within reach.